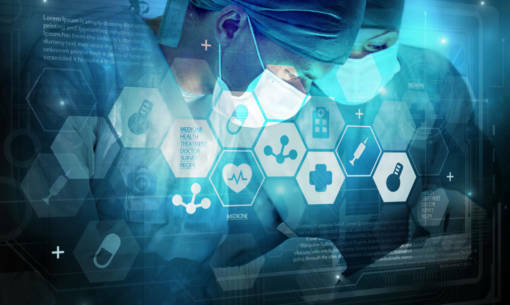 New treatment, surgical robots, artifcial intelligence… with these new technologies, the health sector is undergoing huge transformations, borne in particular by recently-created and innovative start-ups that frmly intend to enhance the lives of patients. SamanTree Medical, a Swiss start-up based in Lausanne and founded in 2014 is one of the companies that are making advances in medicine. Chief Medical Technology Offcer Etienne S. tells us about the Histolog™ Scanner, a technological innovation that will considerably improve cancer surgery. In what areas will the Histolog™ Scanner developed by SamanTree Medical be of use? Designed on the basis of groundbreaking technology devised by the École Polytechnique Fédérale de Lausanne (EPFL), the Histolog™ Scanner is aimed at cancer surgery. It is used to analyse tumours directly in the operating theatre to ensure that the entire tumour has been removed, and therefore limit the number of subsequent operations. Thanks to this process, we have estimated that we could reduce further operations by up to 90 %. This new imaging method is a unique and direct aid in cancer surgery, and improves the quality of life of patients while reducing the cost of treatment. How did your project evolve, and what are its prospects? The project has undergone substantial change over the past decades, both in terms of its concept and maturity. From the optics lab to the operating theatre, there’s a huge leap. It mainly started as a new technology, which, by decoupling the notions of resolution and feld of view, allowed for the capture of microscopy images in unprecedented dimensions. After years of developments, tests and validation processes, the first cancer surgery product is now about to be launched on the market. Why did you choose agap2 to help you with this project? The local branch initially introduced us to agap2, and got our relationship off to a good start. In taking an interest in us, the managers were attentive to our needs, and able to suggest at least one person who was available straight away, and perfectly suited to our requirements in the launching of this new project. Aurèle H., consultant for agap2 Lausanne, is helping SamanTree Medical to design the Histolog™ Scanner. I’m in charge of the design, development and industrialisation of the Histolog™ Scanner’s disposable optical interface. The challenge is to produce an interface that is very easy to use, and very precisely locates cancerous tissues, and will be well protected from blood, dust, and the impact of surgical instruments, etc. I’ve attended several surgical interventions to make sure that the scanner and optical interface fit in well, and meet the surgeons’ requirements. This project will considerably improve cancer surgery, and therefore patients’ lives. It’s also very motivating to be able to produce a product from start to fnish; that is from design to marketing. Samantree Medical aims to develop a cutting-edge product that’s simple to use and robust, and is doing everything it can to achieve this goal. It really is exciting to be part of this incredible team, and to be contributing to this project!